Why Audition for The Music Academy Youth Choir? The Music Academy Youth Choir Auditions are a lighthearted, easy process. And the best part is: they're completely FREE! Auditions are open to the public; all students ages 8-17 are invited to audition. Returning choir members do not have to audition. No previous experience required and the singer is not required to sight read during the audition. Choir Auditions will be held on Wednesday, August 22nd, at 5:30 pm at The Music Academy. The Music Academy Youth Choir rehearsals begin Wednesday, August 29th at 5:30 at The Music Academy. 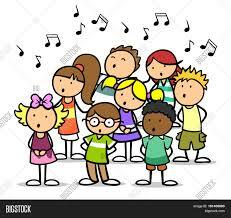 In addition to our existing choir, we are starting a NEW homeschool choir. We will meet at 2:00pm on Wednesdays at The Music Academy. If you are interested in either choir, come to auditions on Wednesday, August 22nd - 5:30pm at The Music Academy. See you then!